Prior joining Compass®, Katie Machoskie was recognized as one of the top 1,000 sales associates in the nation. 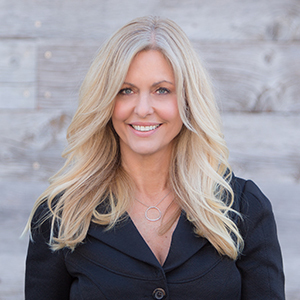 She consistently ranks in the top 1% of Newport Beach agents and was named REAL Trends America’s Best Real Estate Agents in 2017. She has sold over $250 million in her own neighborhood. Recognized as one of Orange County’s most dedicated, straight-talking and ethical real estate professionals, Machoskie has built a solid team of licensed real estate professionals. What sets the Machoskie & Associates team apart from other teams is Katie’s hands-on approach. “It’s critical to provide clients with my expertise and personal attention in each transaction.” Her marketing efforts evolve from a client-centric approach by first establishing her clients’ needs and then creating a personalized plan to meet those needs. Her team consists of neighborhood experts for specific areas of Orange County. Katie and her team work tirelessly and have established a work ethic that exemplifies a constant effort to provide the very best in service. Katie’s profound knowledge of Orange County communities is due in part to her deep roots as a native. Katie also specializes Professional Athlete Relocation, as well as sales due divorce or death. She attended UCLA and has an extensive marketing and public relations background for Fortune 500 companies, the entertainment industry, and many nonprofit organizations, raising over $200 million in donations during her non-profit career. As a planned gift specialist, her extensive experience evaluating and managing gifts of real estate nonprofit organizations developed an invaluable network of legal and financial industry contacts she maintains today. Katie is active in her community as a soccer coach for the past 19 years, a Girl Scout leader and as a volunteer for her childrens’ schools.